Items of Note (Strongly Recommended or otherwise worthy): Nothing really stood out this month. In this installment: Freedom Fighters: the Ray DVD, Iron Fist Season 2, Ms. Marvel v2 #34, Marvel Rising Omega #1, Deathstroke #35, Catalyst Prime Astonisher #10 (v3 #1), The Wrong Earth #1, Kaijumax Season 4 #2 (of 6), League of Extraordinary Gentlemen: Tempest #2 (of 6), Real Science Adventures: The Nicodemus Job #3 (of 5), My Little Pony Ponyville Adventures #5 (of 5), My Little Pony Friendship is Magic #70, Transformers Lost Light #23-24, Optimus Prime #23, Transformers Unicron #4 (of 6), Star Trek vs. Transformers #1 (of 4). Current Wait List (books either Diamond didn't ship or my store failed to order): Nothing. League of Extraordinary Gentlemen: Tempest #2 had to be reordered, but arrived in the last week of the month. Punching Nazis is always in style. 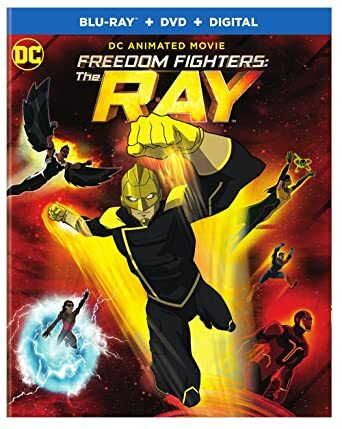 Freedom Fighters: the Ray DVD: DC/WB - This is more of a prequel to Crisis on Earth-X, meant in part to explain one of the throwaway lines from the end where Ray talks about where he's from. Unfortunately, it ends up making no sense anyway, since there's an extended period where Ray trains with Ollie and the gang, so wouldn't they have already known where he was from? Ah well. Ignoring continuity issues, it's a decent if suspiciously parsimonious story with some decent action beats. Nothing to write home about, though, and you're not really missing much if you skip it. Frankly, I think they'd have been better served with a sequel that had a few brief flashbacks to pre-crossover, because as a pure prequel you know that the heroes can't really win, and strongly suspect that anyone not mentioned before on the live-action shows will die. Mildly recommended. Iron Fist Season 2: Marvel/Netflix - A tighter ten episodes this time, and not only is it an improvement over Season 1, there's several scenes that feel like implicit apologies for the problems of that season. The general theme of the season is that power corrupts, but more in the "ruin your personal life and make you into a jerk" fashion than any grand Acton Lord sort of deal. Lots of attempts to pick up the pieces of broken lives, get one's due now that the Hand crisis seems to be over, and so forth. I found Joy's motivations a little harder to swallow than those of the rest of the cast, but with Danny growing as a person I guess someone has to carry the idiot stick. I did like that the resolution to "power corrupts" wasn't merely abandoning power, but finding ways to become a better person (if only slightly better in some cases) and resist the corruption. Well, okay, the main antagonist had to be stripped of the corrupting power, but this IS a superhero story. Recommended. 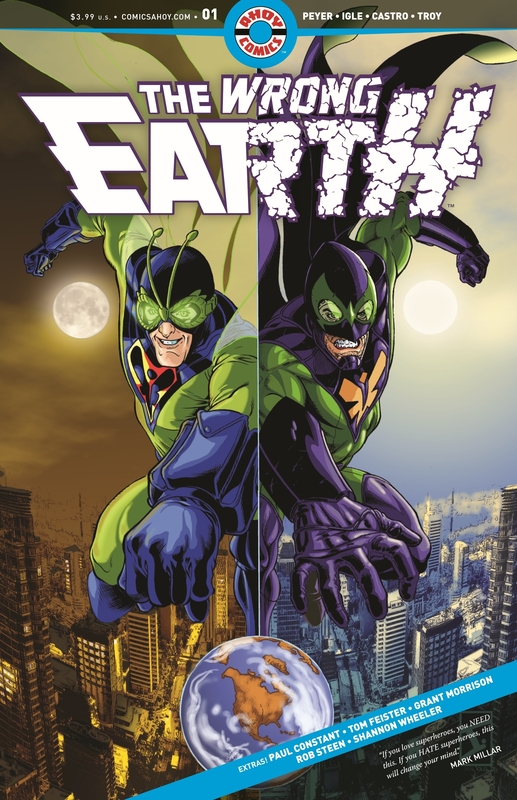 Well, I did get a Kickstarter fulfillment on a webcomic collection TPB set, but nothing I feel like reviewing. Dvandom, aka Dave Van Domelen, is an Assistant Professor of Physical Science at Amarillo College, maintainer of one of the two longest-running Transformers fansites in existence (neither he nor Ben Yee is entirely sure who was first), long time online reviewer of comics, is glad it's finally cooling off some, is an occasional science advisor in fiction, and part of the development team for the upcoming City of Titans MMO. "Took you far too long to figure that out." "The delay was complicated by the fact that I didn't give a damn." - (spoiler) and Slade, Deathstroke #35.